You asked, and we listened. Another highly requested feature for BookSteam has been the ability for one staff member to be connected to multiple locations (without the need of duplication). In the "Working Hours" tab set working hours for each Location and click 'Save'. 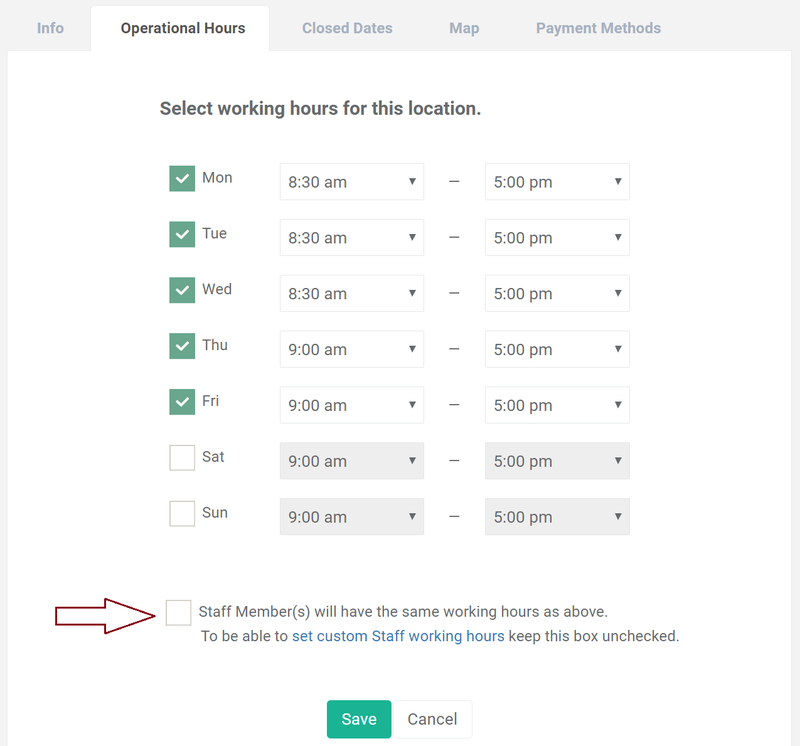 When a Staff member is connected to multiple Locations, that Staff will be listed under the title "Multiple Locations". Note: Make sure the hours don't overlap, since a Staff can't (typically) be in two Locations at the same time.